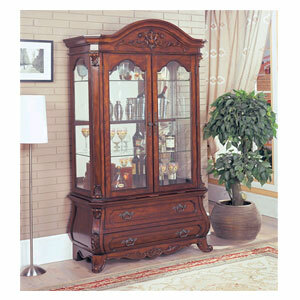 The Davis Curio Cabinet Features A Traditonal Style With Two Large Glass Doors, Three Glass Shelves And Beautiful Carvings. Strong Construction. Easy To Assemble.